A series of highly magnified plant sections offered as homage to the natural life/death cycle and its inherent potential for beauty. The idea came simply — keeping cut flowers past the usual time frame, they became increasingly beautiful past their “prime.” I see these as metaphors for life’s later stage of age and even death and recall that photography has been used extensively to record the likeness of people that no longer exist through postmortem images. 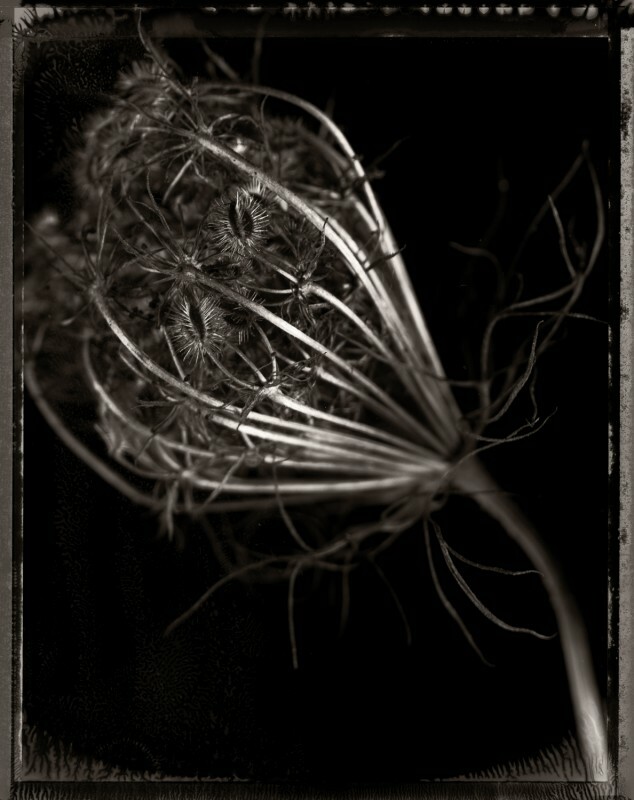 I’m influenced by similar work by Frederick Sommer, Emmet Gowin, and recently Sally Mann’s dark and beautiful series “What Remains.” I don’t find these images dark or morbid, but a means to explore the inevitable end of all living things and to find beauty through the process. Photographed with a “dead film” — Polaroid’s Positive/Negative 55. Baird is currently working across a wide spectrum of techniques and media, from large format (8×10) using vintage 19th century optics and antiquarian printing processes to high-definition digital video output. His work is included in the collections of the Detroit Institute of Art, Museum of Fine Art in Houston Texas, Carnegie Museum of Art, and the University of Michigan Museum of Art in Ann Arbor, Michigan.